Did you know that in Chicago property managers can restore their small diameter plumbing pipes with CIPP technology? 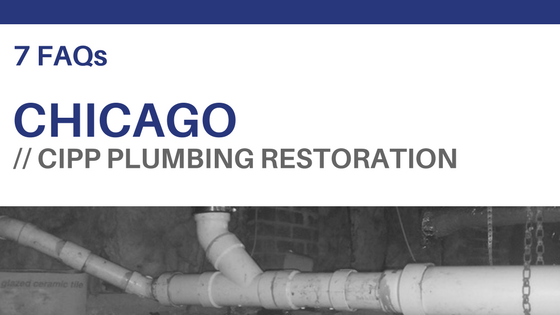 Cured in place pipe lining (CIPP) can successfully be used for Chicago plumbing restoration without the need to tear out large sections of drywall, damage your costly finishes or create a huge mess that has to be cleaned up after the installation. What are small diameter plumbing pipes and where are they located? Small diameter plumbing pipes range in size from 3/4” in diameter to 6” in diameter. These pipes are typically located inside buildings and used for pressurized potable water lines and drain lines. Most small diameter plumbing pipes are located behind walls, floors and ceilings, making them hard to reach without damaging drywall and finishes. What is small diameter CIPP? CIPP stands for cured in place pipe lining. Small diameter CIPP refers to the process of cleaning and lining pipes that are less than 6” in diameter. When you have your pipes restored via CIPP, an epoxy soaked pipe liner is inserted into the pipe to be repaired, inflated and left in place to cure. Once the liner has cured, it is as durable as a new pipe. Why do I need small diameter CIPP? You need CIPP for your small diameter pipes if you’ve noticed a reduction in water flow, experienced small leaks or have extension corrosion inside your pipes. The CIPP process starts with a thorough inspection of your plumbing pipes and a complete cleaning. The cleaning process removes all the dirt, debris and corrosion from the host pipe and prepares it to accept the pipe liner. This maximizes the internal diameter of the pipe while providing you with a fast restoration option for you and your building’s occupants. What are the benefits of cured in place pipe lining? CIPP is a mostly noninvasive way to restore your pipes. This is because only one or two access points are needed to install the liner, and sometimes pre-existing pipe access points can be used, which means no holes are needed. For traditional pipe replacement, entire sections of drywall and finishes must be removed in order to access the full pipe run. Cured in place pipe lining can be more affordable when compared to replacing every pipe in your building and hiring outside contractors to repair your drywall and finishes after the job is complete, and the process of installing pipe liners is much faster than traditional pipe replacement. Are there any drawbacks to installing CIPP liners in small diameter pipes? Installing CIPP liners in small diameter pipes requires more skill and precise planning. This is because small diameter plumbing pipes do not offer much room to work. Our technicians, here at Nu Flow, can perform a plumbing inspection to determine if they are good candidates for the CIPP process and design an installation plan to restore your pipes. If the pipe is too small for a CIPP liner, there are other options available, like epoxy pipe coating. Can CIPP be used inside buildings in Chicago? CIPP for small diameter pipes can be used in Chicago. The process for ensuring that the job is properly permitted involves submitting an application for a variance since Chicago’s plumbing codes do not expressly address CIPP liners inside buildings. Here at Nu Flow, we’re successfully applied for and received several variances for CIPP inside the buildings of Chicago, and you can view our most recent projects via our project page. How do I get more information on CIPP with Nu Flow? If you’ve like more information about our CIPP pipe lining solutions, feel free to give us a call at 815-790-9000. 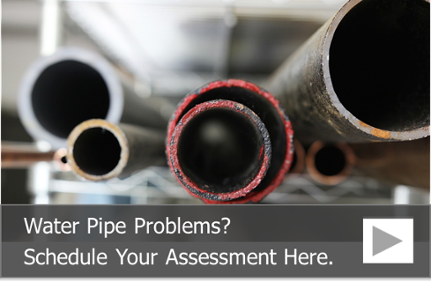 We would be happy to talk to you about your plumbing pipe restoration project and schedule a building pipe assessment, which can tell you the condition of your plumbing pipes and if they’d be good candidates for the pipe lining process.